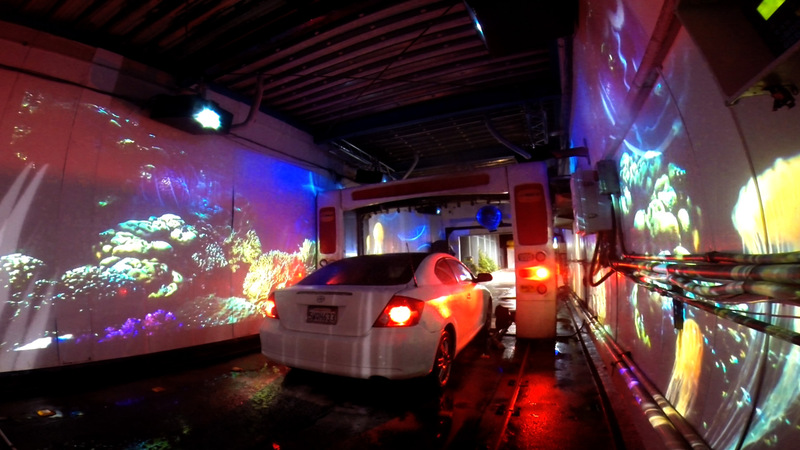 VR Car Wash Video Installation at the Tanforan Shell car wash. 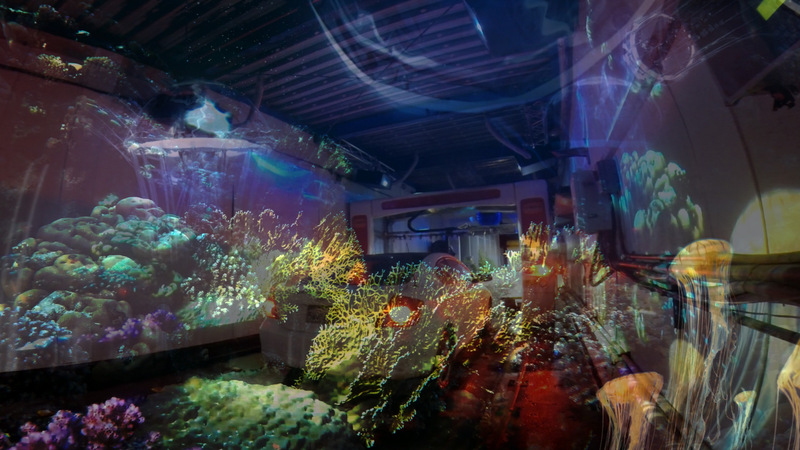 Worked with Immers.io on the space prep and the 3D Matterport scan, looking forward to working with them in the future! 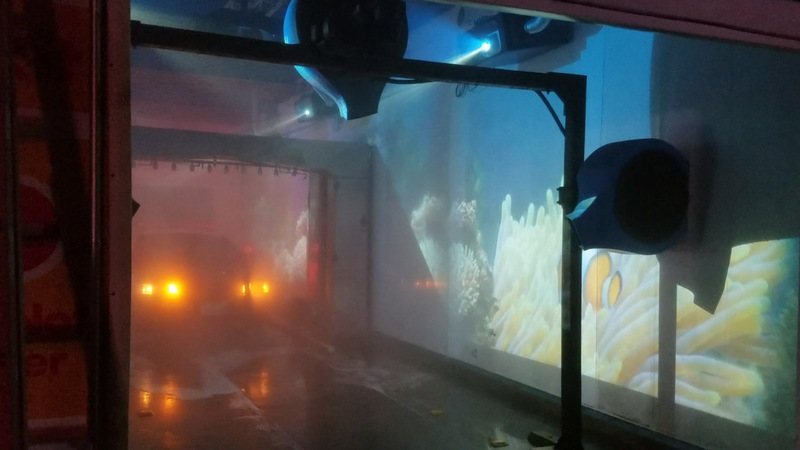 This was one of the more unusual installations we've done since there wasn't a site-tech to give us a heads-up about the quirks of the location (I'm looking at you, quadruple-metal-lined dividing walls). 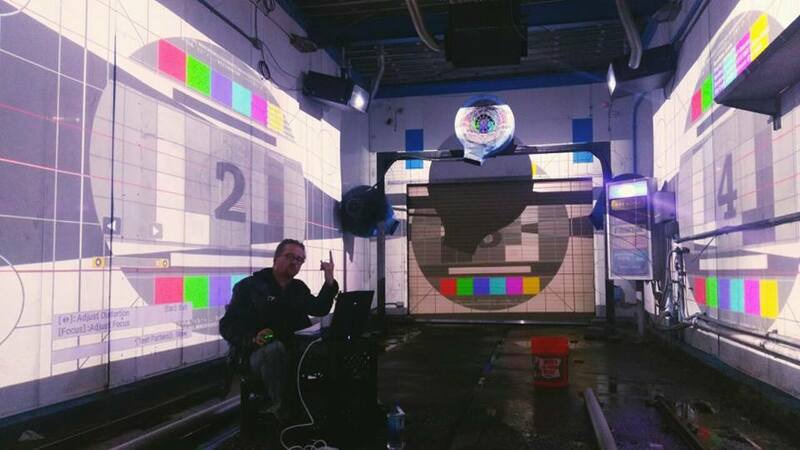 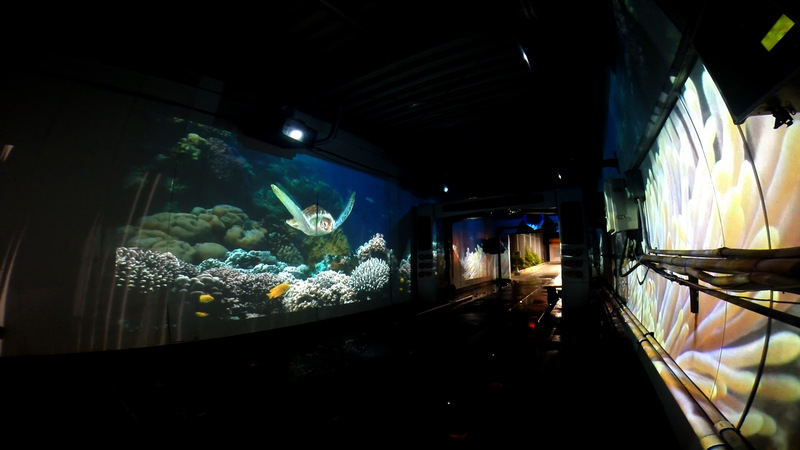 We used a combination of laser rangefinding and 3D scans to get a sense of where the projection throws would fall during the wash cycle, which helped with the installation immensely. 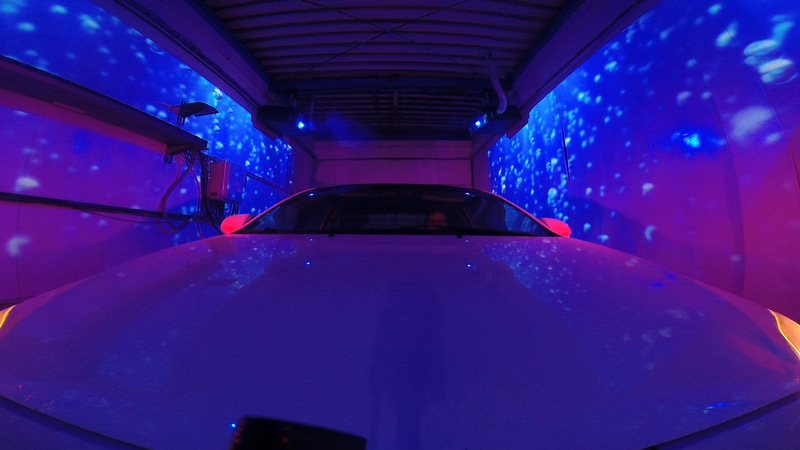 Special thanks to Dan and Jessie for their help with rigging and getting the media server to talk to the car wash mechanism, and even more crucially, coming up with 300 feet of shielded CAT-6 cabling last minute when Amazon lost our entire order the week of the installation!